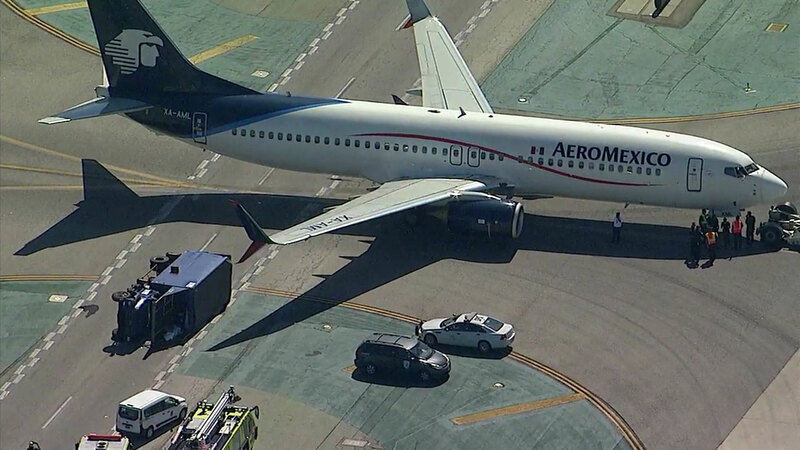 LOS ANGELES -- A single-aisle commercial passenger Aeromexico jet collided with a supply truck that overturned Saturday afternoon on a service road at Los Angeles Airport, authorities said. Eight people, six men and four women, suffered non-life threatening injuries, although authorities previously said one person was critically injured. The two women had more serious injuries, but none were critical.